Who doesn't have one of these? This perfectly concealed hidden camera fits right in inside your kitchen or breakroom. Catch them in the act! Everyone goes to the kitchen or breakroom more than once a day making it the most visited place in your home or business. 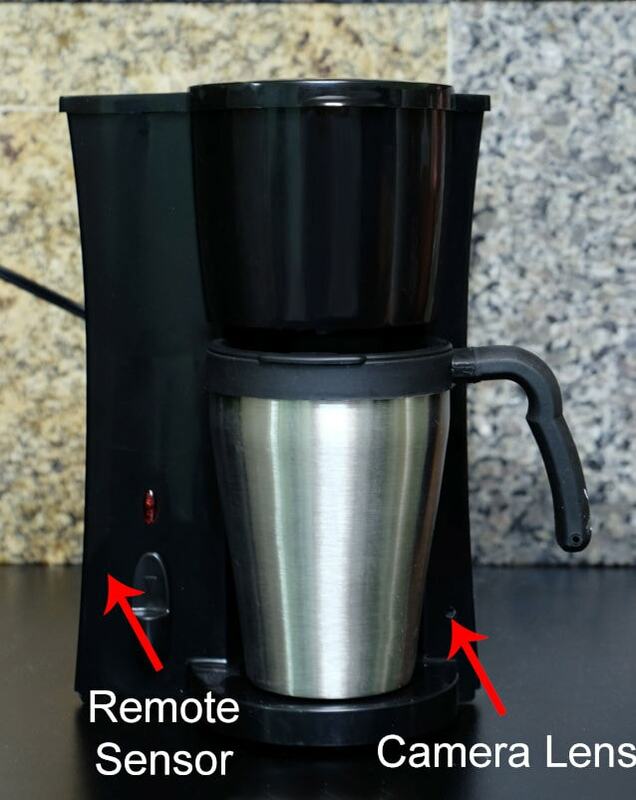 Find out what the haps are when you place this new coffee maker in there and secretly record everything that occurs. Need to keep an eye on things while you're gone? This high-end nanny cam will make sure you don't miss a thing. The BB3CoffeePot is a fully working personal coffee pot that blends in with any kitchen but also contains a hidden camera. It is a great choice whether you're keeping watch on your child's nanny, someone coming in to work on your home, or adding a bit more home security while you're away. You and your spouse want to go on a date night, but you are nervous about leaving the kids with a babysitter. You worry if the babysitter is feeding the kids the right foods, playing with the kids nicely, putting the kids to bed on time, and any other number of things.